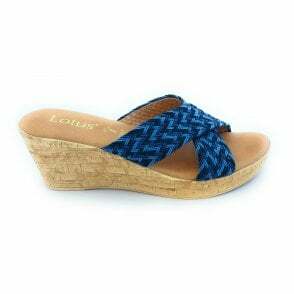 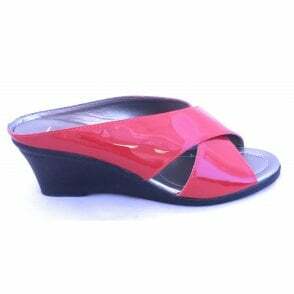 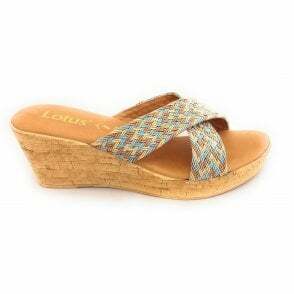 One of Lotus's best selling summer styles is the Trino sandal. 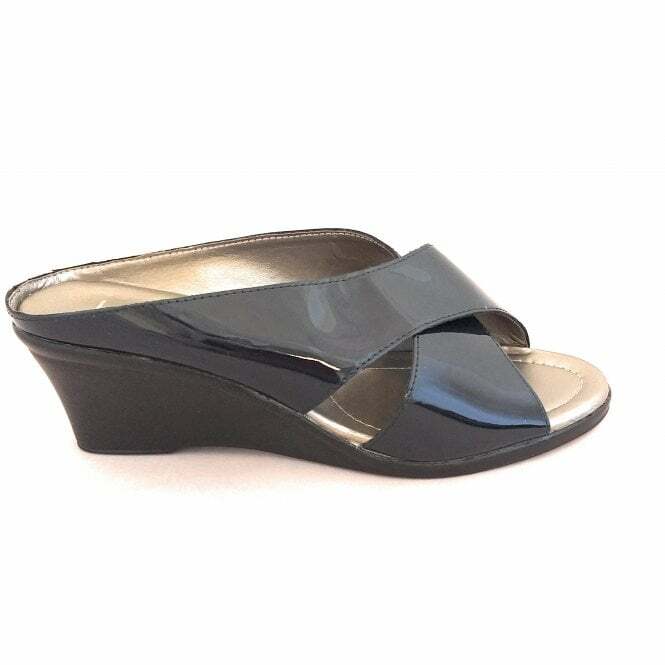 This classic style has been in the collection for 30 years. 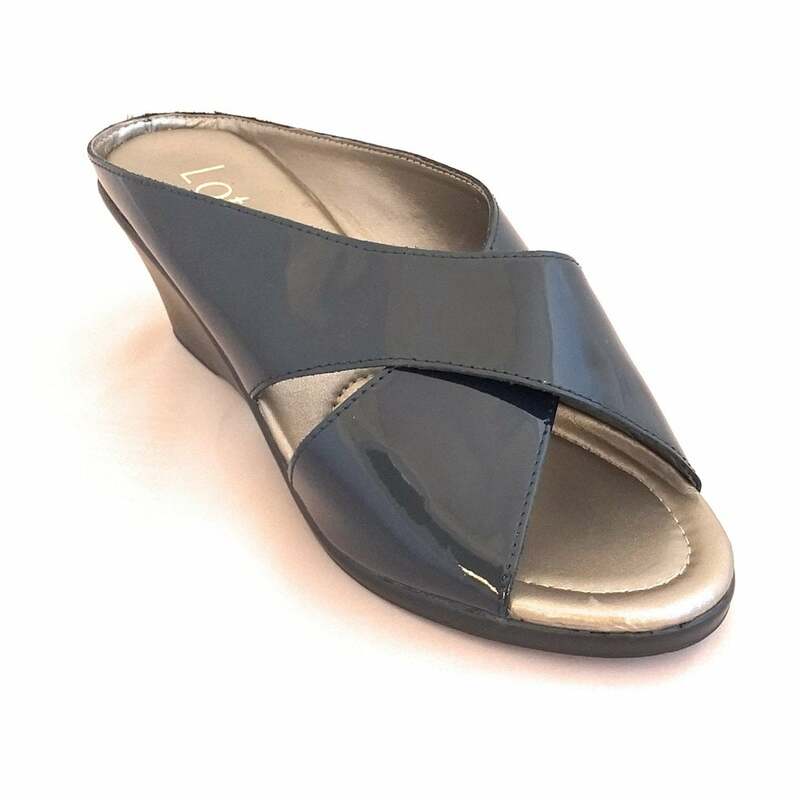 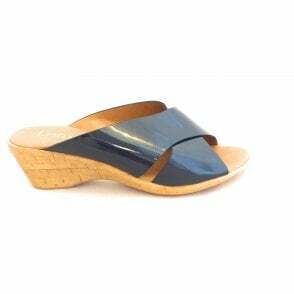 Trino is a slip on mule style with an open-toe, a wearable 5.5cm wedge heel and incorporates a sumptuous navy patent upper.